Now that the Manticore/Deathstrike kit is out, I've decided to add a Manticore to my Vostroyan army, but I wanted to give it the Russian WWII flavor so I'm building it ala the Katyusha rocket launcher. 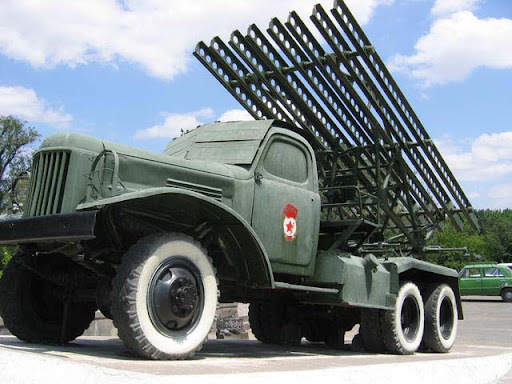 The original Katyusha was mounted on a truck bed, but let's face it; half-tracks are cooler. I started with Dave Taylor's great templates for the basic truck using a Ork Trukk frame. One thing to note: Dave's tutorial assumes that you are using the cab floor from the Trukk kit; if you buy the Trukk frame from Battle Wagon Bitz, it's not included, so you'll have to improvise a cab floor. 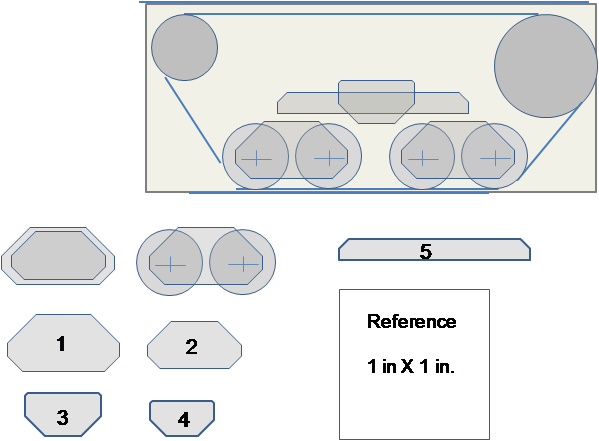 I've included templates for the suspension pieces, you'll need 8 of piece #1, 4 of pieces 2, 3, and 5 and 2 of piece 4. I used 0.030" thick sheet styrene for mine which is pretty much as thin as I'd go. Here are the completed tracks; they're a bit plain so I used some Plastruct hexagonal rod sliced off to make nice big bolts. I used the a bit of 0.30 styrene to make a height setting guide like I did for the rivets on the Medusa Conversion. With a bit more styrene work I built a pivoting mount and mounted it on the bed. I used 2 strips of C-channel to build mounting rails, and added a strip of tread-plate on either side. Still a few details to add on the bed, and perhaps some headlights but otherwise ready to smite the enemies of the Imperium. And here's the post with the completed model. Fantastic job on the scratch build!!!!!! Combines the IG look with the Russian/Vostroyan line of business. Looks great, like the russian connection there! Thanks all. The Katyusha just seemed like a natural. I just married it to some ideas I'd seen from others. @Klaus: you're stealing ideas from me? Now that's a compliment!